Private tables are one of the most interesting ideas to come from the live online casino sector in the past few years. 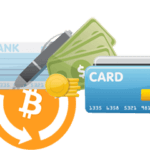 Essentially, online platforms and live casino developers collaborate to create custom branded studio set-ups for the individual casinos. Each casino can therefore make their tables totally unique. This includes the branding, colour scheme, logo and just plain feel of the casino in question. This technology not only affects the aesthetics of blackjack tables, but sometimes how they play as well. For example, casinos can offer exclusive promotions that utilise their private tables – such as golden cards in blackjack. This kind of promo event involves a coloured card that is inserted into the blackjack deck. When it is drawn by the player a special offer can be triggered. This can be bonus money, entry into a prize draw, tournament entry, an automatic blackjack or something else entirely. The only limit is the imagination of the promotions department at your casino! Promotions like this would not be possible with the shared blackjack tables offered by most developers and thus a unique and exciting layer is added to the classic casino 21 gameplay. But what online casinos make the best use of Private blackjack Tables? Read on to find out. Five of Grosvenor casino’s six private live blackjack tables are all streamed from one open-plan room, which gives a busy casino-floor feel to match their origins as a land-based casino chain in the UK. They do however, look rather similar – with not much to distinguish between them when it comes to game rules or appearance. As usual with Evolution Gaming, the quality of stream and gameplay is as good as you can expect. Grosvenor sadly does not stream live blackjack from any of its land-based operations. Which is a shame since they do so for roulette and baccarat. Unibet has the most private blackjack tables on this list, playing host to a cool 23 separate tables in partnership with Evolution Gaming. The aesthetics here are almost science-fiction like, with a cyberpunk colour scheme that consists of a lot of black and glowing green neon. Adverts for other Unibet services, or special bets you can make in the live casino, pop up on flat screens behind the dealer as well. Because Unibet has so many private tables, you can hear the sounds from their other tables as you play, giving a vibrant and busy feel to proceedings. However, the Unibet private tables basically all look the same – which was a little disappointing. The only things that change are the dealers, and the limits. Which do go as high as £50,000 a hand on the Unibet VIP tables. All the Unibet private blackjack tables play as well as you would expect from Evolution, which is to say they are top quality. 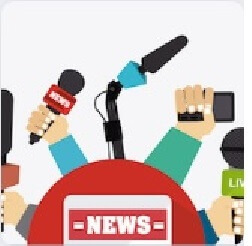 The live dealers are always dressed presentably and are talkative, without being over the top. 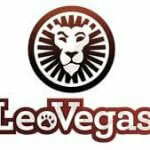 LeoVegas hosts a good number of custom blackjack tables from Evolution, and a decent selection of different varieties as well. Their private table collection includes one completely new game and one that is very similar to an existing special Evolution product. This is silent blackjack and celebrity party blackjack. 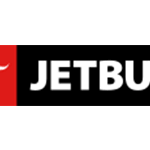 These two games are on opposite ends of the online blackjack spectrum, offering maximum choice to players. Silent blackjack is completely quiet, with the live dealer saying nothing other than the card scores and results. This is for players who want to focus on their betting strategy with minimum fuss. Bets start at £25 and go up to £5000 per hand. Celebrity party blackjack is basically the same as Evolution’s Party Blackjack or Playtech’s recently release Disco Jack – except a bit calmer than the latter. The concept here is animated discussion, jokes and questions from the dealer as well as some upbeat party music. Nominally there are supposed to be ‘celebrity’ cameos too. Although we have yet to see one ourselves – so keep an eye out! They also offer a version of this game with Danish speaking dealers, called Dansk celebrity blackjack. 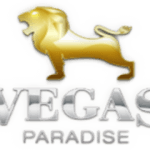 Leo Vegas’ other private blackjack tables, use a range of rules but all come with 21+3 and Perfect Pairs side bets and standard pay-out rates. Genting is one of the biggest land-based casino brands in the UK, operating in over 40 physical locations. Chances are you will have seen one of their casinos if you live in the British Isles. In their live online casinos, Genting plays host to two exclusive live blackjack tables. These are Genting Blackjack and Crockford’s VIP Blackjack. If you’ve ever been to one of Genting’s land-based casinos, the look and feel of the Genting tables will be familiar to you. The Crockford’s VIP table on the other hand is a truly unique experience. Designed to mimic the aesthetics of Crockford’s in London, which was one of the Big Smoke’s oldest gentleman’s clubs and gambling venues. Opened in 1823 and closed for good in 1970, the current Crockford’s casino has no legitimate connections with the old establishment, except for the fact it operates a few doors away from the previous Crockford’s site. However, it can be considered somewhat of a spiritual successor to the legendary club. This is reflected in the subtle but classy décor of the Crockford’s VIP live casino blackjack room at Genting’s. Both Genting’s blackjack tables play Vegas rules and have 21+3 and Perfect Pair side-bets. Despite being called VIP the limits here are not particularly high either, but the top-notch stream quality and gameplay from Evolution does help maintain a sophisticated atmosphere. Casumo is an online casino known for its funky branding and clean design choices, which are certainly reflected in the private tables here. The purple felt contrasts nicely against the white suits and dresses of the live dealers. As a (somewhat) fashionable man, this reviewer thought the female dealer’s dresses here were some of the trendiest in the industry – if that’s something you care about! Finally, the studio colours are compliment by a tie-die display which is held up by the Casumo marshmallow-ghost-man mascot. The range of limits at Casumo wasn’t very broad, since they only have two tables. But once again, the gameplay from Evolution’s tables is superbly smooth so we had no complaints there. Both tables are standard European blackjack with no special rules or varieties past the usual side-bets. Mr. Green is one casino that has leaped on private table technology, hosting 9 tables from Evolution as well as the totally unique Mr Green Beyond Live Experience. 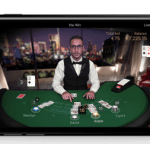 This virtual penthouse casino was developed by NetEnt and allows players to seamlessly move around a four-table room, which includes two blackjack tables. With no lobby system interrupting you as move you between the tables, the smoothness of the transitions is truly excellent. Mr Green himself moves around the tables, checking everything is running tightly, and (virtual) helicopters can be seen flying past the windows that look out onto a city skyline. One thing we would say though – all that flashiness can come at a price. 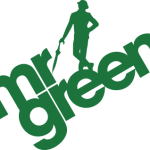 You may need both a good connection and a decent device in order to make the most of the Mr Green Live Experience, as it can be data and memory heavy. Especially on mobile devices! Although it was originally exclusively playable for mobile players for some time, so you can tell it was designed with a smaller screen in mind. Also available amongst Mr Green’s other custom blackjack tables is a German speaking live dealer table, which should be good for German customers. Deutsche blackjack uses, as you would expect, European rules It has a £5 minimum and £1000 max bets. William Hill’s live casino section is split into two sections. One is provided by Playtech and is part of the WH Casino site. This only has a solitary private blackjack table. 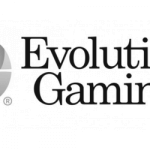 But don’t be fooled – the second part of their collection, by Evolution, is hosted on its own dedicated William Hill Live Casino site. This selection includes a solid thirteen private blackjack tables. The Playtech private blackjack table sticks closest to the original William Hill colour scheme, that will be instantly recognisable to UK customers as the same as their land-based stores. The warm blues and yellows make an enjoyable backdrop to an otherwise fairly standard live blackjack experience. Although being a Playtech table, it’s definitely on the higher side of standard with a quality stream and interface. Here William Hill have a lot of variation, although we will the say the slots themed tables do not look as different from each other as they might have. But still, an improvement on say, Unibet, whose 23 tables all look almost identical. 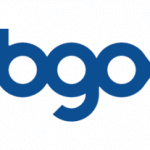 BGO has one private blackjack table, called BGO Prime Blackjack. Provided by Playtech, it looks decent but doesn’t have the most striking décor other than the BGO logo. They don’t do anything particularly interesting with the gameplay mechanics either. The large betting interface, which forms a sort of shadowed overlay, might be appealing to some players but won’t be for everyone. BGO Prime Blackjack is your standard European rules with 21+3 and Perfect Pairs side bets.